On October 11, the Community Foundation celebrated the generosity of our donors and the innovative ideas of our grantees that have made a difference in our communities. As a Community Foundation donor, we hope you feel a great sense of pride in your impact on our community. Thank you for your commitment, and for choosing the Community Foundation of North Central Wisconsin as your philanthropic partner. Together we are making a positive impact on our community. The B.A. & Esther Greenheck Foundation originally began as a supporting organization within the Community Foundation. 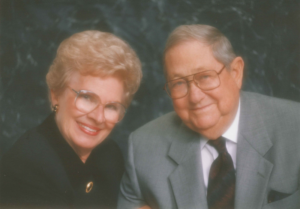 It later became a private family foundation that was overseen by their daughter, Sandy Gumness, later their son-in-law, Brian Gumness, and now, together with Brian, their granddaughter, Pam Jackson. It has grown to be the largest private foundation serving our area. Sandy accepted the award on behalf of her parents. The B.A. & Esther Greenheck Foundation continues to partner with the Community Foundation in supporting philanthropic causes. In the past 20 years, they have contributed nearly $4 million to various funds within the Community Foundation. Their support, together with our Wausau-Marathon County Fund, and the Wisconsin Arts Board, has impacted our arts community with over $1.3 million dollars awarded through the Community Arts Grant Fund. 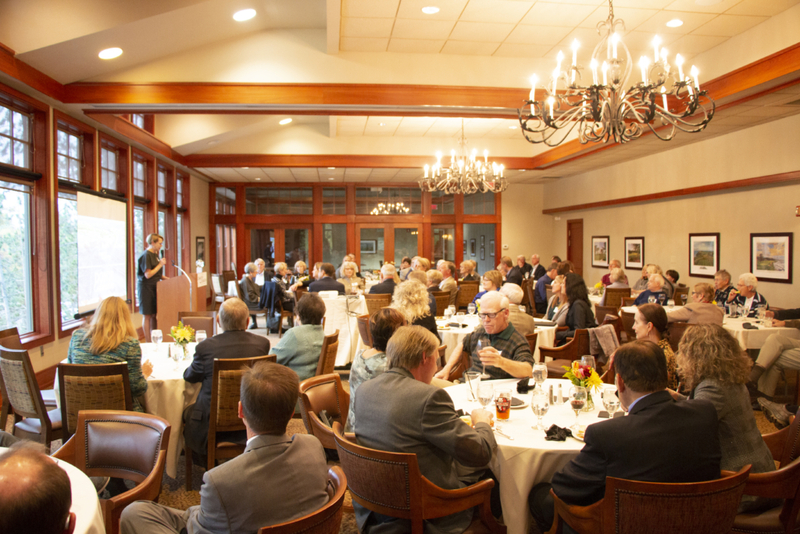 Our event celebrated the accomplishments of the past year because of the generosity of our donors. Our donors had the opportunity to hear from members of our community who represent a few of the various facets of giving that meet our mission including health, the arts, education, human services, and resource preservation. Michael Loy, representing the North Central Health Care Warm Water Therapy Pool project, relayed how the pool will serve people who seek to improve their quality of life through therapies that are unique to the central Wisconsin area. The NCHC Warm Water Therapy Pool is funded thanks to our community coming together for a worthy cause. Rise Up is an organization whose start-up fund was administered through the Community Foundation. They are also a recipient of a 2018 Community Arts Grant. Christy Keele of Rise Up, explained to our donors how their organization seeks to heal, strengthen, and unify community through publicly engaged art like the mural pictured above. Amy Plier, chair of the Community Foundations Distributions Committee and vice president to the Board of Directors, gave our donors an update on the 2018 Community Art Grants program. We were fortunate to have increased funding this year thanks to the Wausau-Marathon County Fund, and the B.A. & Esther Greenheck Foundation. Twenty-five organizations received their full funding request from our Community Arts Fund in 2018. Community Enhancement Grant recipient Lisa Dodson, Campus Dean of the Medical College of Central Wisconsin, thanked our donors for their continued investment in the community through the developing medical college which is educating our future doctors and physicians right here in north central Wisconsin.